March saw the final days of Spring Training, leading to Opening Day tomorrow! Of course, Spring Training spanned several months, and this update will explore its entirety. As an initial matter, Spring Training performances must come with a bright, flashing warning: SMALL SAMPLE SIZE! With that said, the following prospects nevertheless impressed this Spring. Rising Hitter: Scott Kingery, 2B, Philadelphia Phillies (Top 200 Rank: 16). 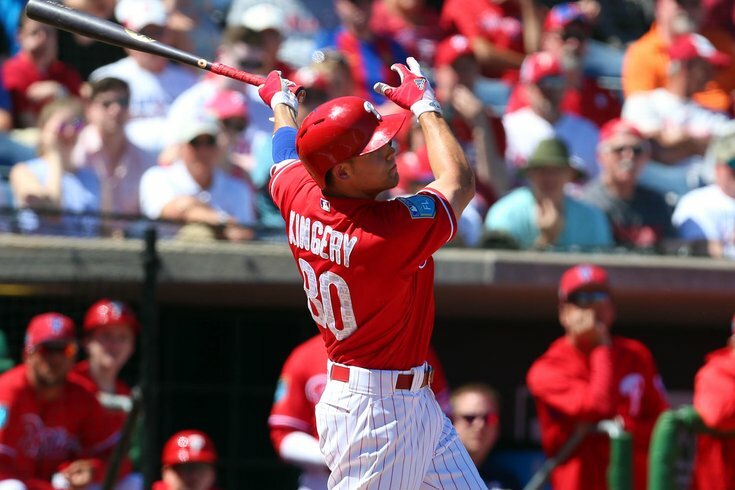 After signing a six-year extension, negating any service time concerns, Kingery was a surprise addition to the Phillies’ Opening Day roster. Currently, it is unclear how the Phillies indeed to utilize him. A potential 5-tool player, Kingery should be owned in all formats, regardless whether he starts from day one. Honorable Mention: Lewis Brinson, Ryan McMahon, Brian Anderson, J.D. Davis, and Daniel Vogelbach. Rising Pitcher: Jack Flaherty, RHP, St. Louis Cardinals (Top 200 Rank: 49). With Adam Wainwright opening the season on the disabled list, Flaherty will begin the year in the starting rotation. Last year, he dominated between Double-A and Triple-A, and early spring returns are promising. A strong start could cement Flaherty’s place in the Cardinals rotation. Rising Pitcher UPDATE: Joey Lucchesi, LHP, San Diego Padres (Top 200 Rank: 144). Following an impressive Spring, Lucchesi won a spot in the Padres rotation. With plenty of deception and quality offerings, he could surprise this year. Honorable Mention: Jesus Luzardo, Joey Lucchesi, A.J. Minter, and Rogelio Armenteros. Poised to make a good impression and push for early-season playing time in the majors, the following prospects struggled this Spring. Falling Hitter/Pitcher: Shohei Ohtani, RHP/DH, Los Angeles Angels (Top 200 Rank: 3). On the mound, Ohtani struggled with command throughout the spring. Most recently, he walked five, hit a batter, and threw two wild pitches in a minor league game. Meanwhile, Ohtani also disappointed at the plate, failing to make much of an impact. Shockingly, many now question whether he should begin the season in the minors. The following prospects suffered significant injuries or suspensions. Forrest Whitley, RHP, Houston Astros: Suspended 50 games on February 21, 2018. Brent Honeywell, RHP, Tampa Bay Rays: Underwent Tommy John surgery on February 27, 2018, out for the season. Jake Burger, 3B, Chicago White Sox: Ruptured Achilles tendon on February 26, 2018, out for the season. Jose De Leon, RHP, Tampa Bay Rays: Underwent Tommy John surgery on March 13, 2018, out for the season. Luis Robert, OF, Chicago White Sox: Left-thumb sprain on March 10, 2018, out for approximately 10 weeks. Ryan Mountcastle, SS, Baltimore Orioles: Non-displaced right-hand fracture on March 15, 2018, out for approximately 4-6 weeks. Thomas Pannone, RHP, Toronto Blue Jays: Suspended 80 games on March 16, 2018. Anthony Alford, OF, Toronto Blue Jays: Grade-2 hamstring strain on March 16, 2018, out for approximately 3-6 weeks. Cole Ragans, LHP, Texas Rangers: Scheduled for Tommy John surgery, out for the season. Kyle Cody, RHP, Texas Rangers: Elbow inflammation on March 18, 2018, out for approximately 6 weeks. Franklin Perez, RHP, Detroit Tigers: Right-lat strain on March 19, 2018, out for approximately 12 weeks. Matt Manning, RHP, Detroit Tigers: Oblique strain on March 21, 2018, out indefinitely (likely several weeks). A.J. Puk, LHP, Oakland Athletics: Scheduled for Tommy John surgery, out for the season. Major league service time is an extremely important consideration that influences when a team will finally call-up a top prospect. Specifically, service time controls how long a team has rights to a player (six full years) and when a player is eligible for salary arbitration. Normally, a player is eligible for salary arbitration after three years of service time. However, a player can qualify for salary arbitration after just two years of service time as a “Super Two.” Super Two players include the top 22% in service time among players with between two and three years of service time and with at least 86 days of service time the prior season. Over the past nine years, the Super Two cut-off ranged between 2 years and 122-146 service days. Beginning this year, the MLB season includes 187 service days (previously, 183 service days). A full service year, however, is only 172 service days. As such, teams likely will wait over 15 days (187 minus 172) to call-up an elite prospect to ensure an additional year of team control. Further, teams likely will wait over 65 days (187 minus 122) to call up a top prospect to avoid triggering Super Two status. This means players like Ronald Acuna likely will not debut until April 13, 2018 (after 16 service days) and players like Eloy Jimenez likely will not debut until June at the earliest. By Opening Day, all MLB teams must reduce active rosters to twenty-five (25) players. Due to service time considerations, most prospects are unlikely to break camp on the major league roster. In addition to Ohtani (3), Kingery (16), and Flaherty (49), the following top 200 prospects likely will open the 2018 MLB season in the major leagues. 14. Lewis Brinson, OF, Miami Marlins. Following Brinson’s strong Spring, the Marlins penciled him in as the starting center fielder and leadoff hitter. One of the few exciting players on a rebuilding club, he offers an enticing power/speed package. 29. Ryan McMahon, 1B, Colorado Rockies. Despite a crowded Rockies roster, McMahon earned a spot on the Opening Day roster. Expect him to share first base duties and receive the majority of starts against right-handed pitching. 41. J.P. Crawford, SS, Philadelphia Phillies. Crawford likely will be the starting shortstop for the Phillies this year. A patient hitter, he flashes solid pop and nice upside, but far too often appears punchless. 69. Jesse Winker, OF, Cincinnati Reds. Winker is an on-base machine and polished hitter. Competing for at-bats in a crowded Reds outfield, he should receive plenty of playing time against right-handed pitching. 87. Jorge Alfaro, C, Philadelphia Phillies. With the release of Cameron Rupp, Alfaro appears likely to receive a heavy dose of playing time. A streaky hitter, he will suffer ups and downs but possesses rare power for a catcher. 90. Tyler Mahle, RHP, Cincinnati Reds. Injuries to Anthony DeSclafani and Brandon Finnegan opened a rotation spot for Mahle. A control specialist, he should be a steady presence in the middle of the Reds young rotation. 91. Chance Sisco, C, Baltimore Orioles. Sisco should see most at-bats against right-handed pitching. A brief, loud debut and a blistering Spring provide glimpses of his promising bat. 119. Brandon Woodruff, RHP, Milwaukee Brewers. Despite a poor spring (7.11/1.58), Woodruff nonetheless enters the season in the Brewers’ rotation. Due to his inconsistency, it is advisable to wait and see how his season starts and target only favorable matchups. 133. Brian Anderson, 3B, Miami Marlins. Another rookie starter for the Marlins, Anderson may outperform Brinson this year. Likely to hit fifth with good power, he should provide surprising production. 134. Colin Moran, 3B, Pittsburgh Pirates. Slated to be the starting third baseman for the Pirates, Moran will have tons of playing time. However, will he hit for power? 163. J.D. Davis, 3B, Houston Astros. Yulieski Gurriel’s injury and suspension opens an early season roster spot and playing time at first base. A power hitter, Davis is a great source of cheap home runs if he receives the bulk of at-bats at first base. 188. Daniel Vogelbach, 1B, Seattle Mariners. Taking no prisoners this Spring, Vogelbach forced the Mariners to return Rule 5 draft pick Mike Ford to the Yankees. If he continues to hit, he only has Ryon Healy in his way and could demand at-bats against right-handed pitching. As noted above, most prospects must briefly bide their time in the minors before enough MLB service time passes. The following prospects likely will receive a promotion shortly after the MLB season begins. 1. Ronald Acuna, OF, Atlanta Braves. Arguably the most impressive player this spring, Acuna is nevertheless heading to Triple-A. When Acuna arrives, he immediately becomes a near-elite fantasy player in all formats. 9. Nick Senzel, 3B, Cincinnati Reds. Following the extension of Eugenio Suarez, Senzel saw time at shortstop this Spring. With only Jose Peraza ahead of him, he likely will debut early this season as a surprising shortstop in the Paul DeJong mold. 58. Miguel Andujar, 3B, New York Yankees. Over the past five weeks, the Yankees brought in Neil Walker and Brandon Drury to plug holes at second base and third base. In reality, both are simply placeholders for Andujar and/or Gleyber Torres. Despite a powerful Spring (.622 SLG with 4 home runs), Andujar returns to Triple-A, though not likely for very long. Great post Jesse! Just curious who you like better between Alfaro and Sisco? Currently both are on my waiver wire, and I have Lucroy penciled in as my starter. Not liking Lucroy’s spring showing so far, so was wondering your thoughts on him compared to the other 2. It depends on league type/settings, but, in a vacuum, I prefer both Alfaro and Sisco to Lucroy. Alfaro likely will provide more power and receive more playing time than Sisco. I anticipate the Orioles will bench Sisco against all left-handed pitchers and his playing time may be more limited to a 50/50 split with Joseph. As such, I slightly prefer Alfaro to Sisco in redraft and dynasty leagues. In a standard 5×5, I easily prefer Alfaro to Lucroy or Sisco. In other formats, it may be a closer call. Kinda what I was thinking. Its a 7×7 league with OBP and SLG. So I was torn between Alfaro’s SLG strength and what I was hoping is Sisco’s OBP strength. Lucroy was a panic draft pick based off just signing with the A’s and probably receiving the most playing time. But after no hits this spring, it was looking more and more like a mistake pick. Thanks for the feedback! As an aside, I’ve got Lucroy on my air-ball exit velocity watch list for April. We’re going to know pretty quickly what he’s got left in the tank (if anything). BUY: Scott Kingery. The time is now and even if he does not see much early playing time, expect him to earn it and force someone out (Franco or Hernandez, likely). Right now, he may be close to untouchable in many dynasty leagues, given his spring performance and contract extension. In the event Kingery languishes on the bench in the opening weeks, and his value drops, I would advise buying. His anticipated production (15-20 HR, 30+ SBs) is rare at second base, or any other position for that matter. Ronald Acuna, if you can. Nick Senzel appears to be moving to shortstop! Jack Flaherty is a strong bet to stick in the rotation for the long-haul. Jesus Luzardo was touching mid-to-upper-90s this spring. Potential big riser. Brian Anderson will see everyday at-bats and should provide a nice, cheap power source. He can hit 20+ home runs with serviceable rate stats. Daniel Vogelbach may ultimately earn playing time as part of the strong side of a 1B platoon and he can really hit. Hopefully, part 2 goes better than part 1 (last year). J.D. Davis is underappreciated. The power is legit and the hit tool is passable. Sam Travis apparently made mechanical changes to his swing and hit for lots of power this spring. Ryan O’Hearn also has real power. Unfortunately, the Royals have little faith in him (even demoted him to Double-A last year). However, Lucas Duda is injury-prone and O’Hearn turned heads this spring. Joey Lucchesi is knocking on the door and could receive an opportunity early in the season for the Padres. Not much stands in his way . . . HOLD: Lewis Brinson & Ryan McMahon. Despite early opportunities, I expect rough times ahead for both Brinson (strikeouts, inconsistency, glimpses of potential) and McMahon (likely platoon, adjustment period). As such, I would not target either at this juncture. I also would not sell either as both possess nice upside and could surprise with strong starts (in which case, I would consider selling). HOLD: Shohei Ohtani. I noted potential command issues with a 45-grade, but so far it is sub-40. It is far too early to panic. He remains a special talent. SELL: Tommy John victims. 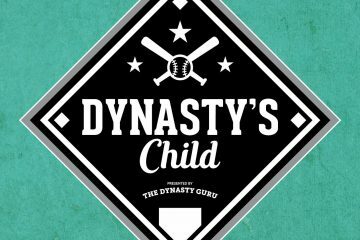 If you can receive close to pre-injury value for Brent Honeywell or A.J. Puk, sell. They will be out until mid-2019 and likely not debut until 2020. A two-year delay is SIGNIFICANT in dynasty. Just look at the hit Anderson Espinoza’s value took. Brett Phillips has no avenue to playing time and his questionable hit tool was on full display this spring (20 Ks in 49 ABs). Carson Kelly was atrocious this spring and remains irreparably blocked. His prospect pedigree far exceeds his fantasy value. In general, however, I would refrain selling anyone based on a poor spring, unless it is injury-related. Jordan Hicks, RHP, St. Louis Cardinals: A power pitcher, he throws a 94-99 mph, running and sinking fastball. In addition to the fastball, he features improving secondaries; a mid-80s slider, a mid-70s curveball, and a promising changeup. All his off-speed pitches are inconsistent, and his command is touch-and-go. The Cardinals already are flirting with Hicks in relief. Whether a late-inning reliever or a potential mid-rotation starter, he has huge upside. As a reliever, Hicks’ power stuff will play up further. Expect an upper-90s fastball with an inconsistent breaking ball. It will be interesting to monitor his pitch usage from the bullpen. Despite the Dominic Leone love around these parts, Hicks definitely is in the mix for late-inning or closing opportunities. Leone, Gregerson, and Lyons are not intimidating roadblocks. Considering he is also SP-eligible, he may have added value in some formats.